View of the Kongur range. 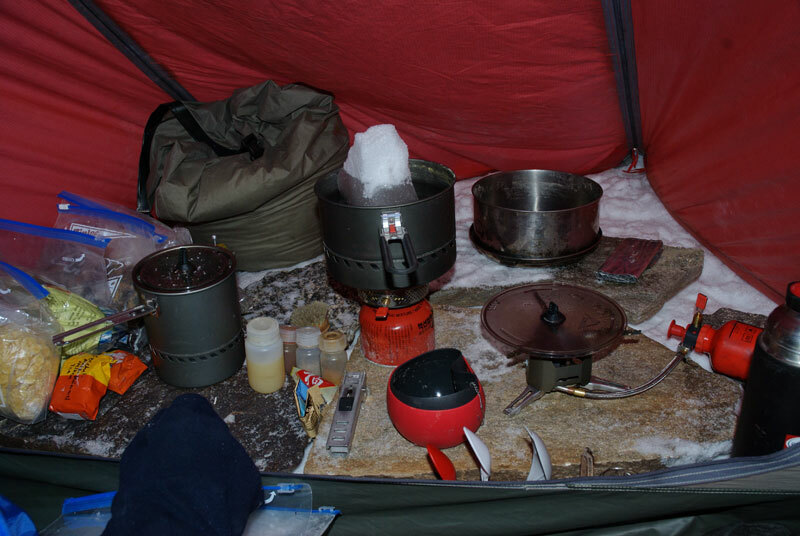 Setting up the first camp at 4750 meters altitude on Kuksay. 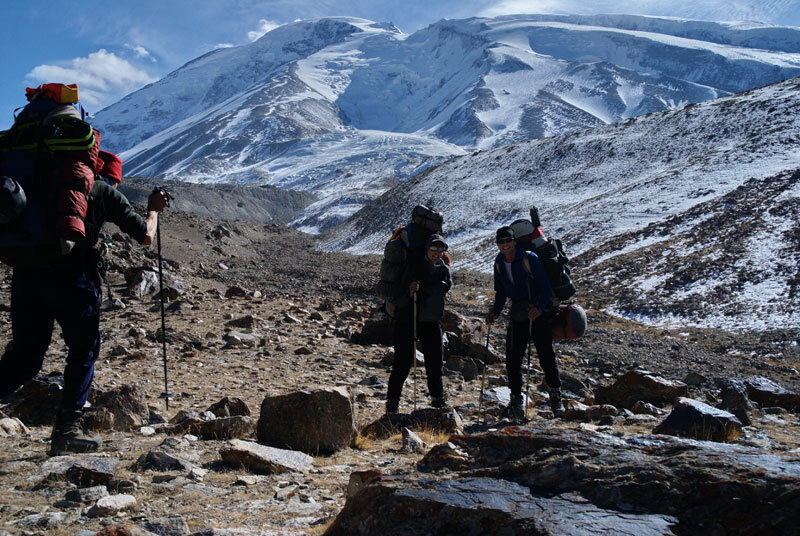 Our initial plan was to climb a mountain in Tibet. However, during the late planning phase in August 2009, it became apparent, that the Permit situation for Tibet was extremely unreliable. Information seemed to change by the day, and Tibet Permits were declared void from Octber 8th on for an unclear time period. This was due to the 60th anniversary of the Communist rule in China, and it was to some degree unexpected that they completely closed Tibet for that time. Of course our expedition was directly affected, as we were scheduled to arrive in China on October 10th. We had of course observed these processes from home and were discussing back and forth about completely abandoning our plans or to come up with a plan B. We then decided for Plan B: Since we all had valid Chinese visas already, we then opted for a visit of the Muztagh Ata region to get to do some climbing anyway. Kashgar in late Ocober 2009 gave us the impression of an “open air prison” for the locals. Regular armed patrols of military convoys were seen in the streets and it was virtually impossible to leave town without being thoroughly investigated by some military checkpoint. The whole region was cut off any international communication, internet was not working and even phone calls to any destination outside China were not connecting. It seemed we were almost the only tourists in town. 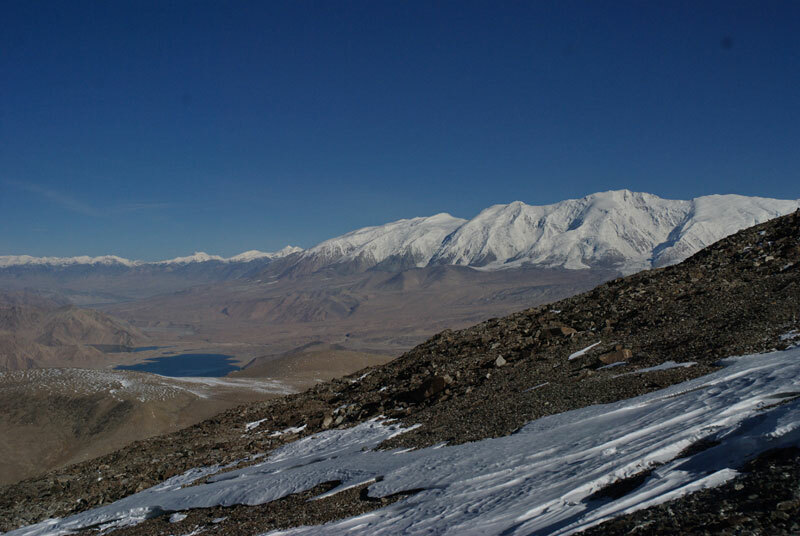 Thanks to professional help of Abdul, a really competent and friendly Uighur, we in no time had organized our supplies and were off to the mountains. Our aim now was to climb mount Kuksay (7177 m), the lower neighbor to Muztagh Ata. We chose this mountain as it was about equally high to our initial goal, Mount Noijin Kangsang. Well prepared and enthusiastic, we initially made very good progress. Although, it seemed a bit strange to now end up in a completely different region as we had initially planned for. However, we were glad to still be climbing and not “wasting” all our thorough preparation and training. We will come back for sure to finish our project!